Winter is here and it is certainly getting colder and darker. While our family and friends in Scandinavia are getting ready to celebrate midsummer, we should all invite some family and friends here in New Zealand and put on a proper Mid winter feast. 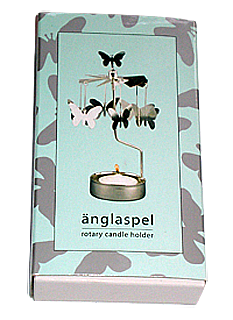 To help you through the darkest months SweNZ Taste have put on a sale on all our beautiful Rotary Candle Holders: Was $25, Now: $21. Don't miss out, offer only available through the month of June. To help you stock up before we go we have a special deal for our Newsletter readers. Buy for $150 or more and receive a 10% discount on your order. Just type the words 'STOCK UP' in the promotion box during check out. The Sweden-New Zealand Association in Wellington are having their annual midwinter celebration - Lucia on the 11 June. SweNZ Taste are happy to support them by providing online pre-registration to the Lucia Celebration on our website. This service is of no cost to the Sweden-New Zealand Association. All proceeds of the pre-registration goes to the Sweden-New Zealand Association. We also offer the members of the Sweden-New Zealand Association to pay their membership online from our site. 5 June 2011- National Day of Denmark and also Fathers Day in Denmark. 6 June “Sillens Dag” – the day of the Herring which includes the presentation of the “Herring of the Year” award. The producers of our PK Herring - Klädesholmes seafood, are winners of the Swedish "sill of the year" 2009 and 2010. 12 June 2011 – Whit Sunday or Pentecost, celebrates the visit of the Holy Spirit upon Christ's disciples. This is the day when many young people are confirmed in the Lutheran faith. It is also the most popular date for weddings. As mentioned in our previous newsletter we submitted our first order to a Swedish Supplier in April. The Order was shipped mid May and is expected to arrive by the end of this month. Unfortunately the mustard and all Cloetta items didn't make it in the order. We were very disappointed as we were not told this until after the order had left Sweden. It is still very exciting to then be able to offer you Oboy, Bearnaise sauce, Ballerina biscuits and more. As it is the month of the presentation of the “Herring of the Year” award. 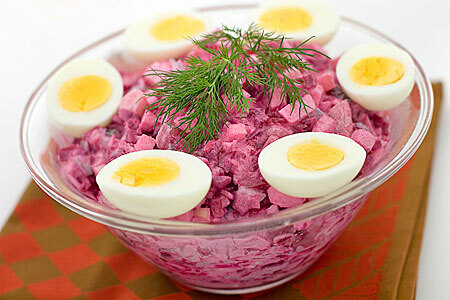 This months recipe has to be Sillsallad/Herring Salad. A traditional dish on the Scandinavian smörgåsbord. One of my favourite on the Christmas / Midwinter Celebration table. Rich in soluble fibre, betaglucan. It helps balance blood glucose and control cholesterol level. Fibre is also good for digestion. Fazer Crisp Oat is rich in fibre 15g/100g of which b-glucan 3.9g. Unique, natural and tasty! Kids love them! It is said Ederflower teas and cordial are traditionally used in herbal medicine to treat colds, mucus, sinuitis, feverish illnesses and other upper respiratory tract problems, as well as hay fever. Keep well this winter!